Made of soft, nice to touch fabric. Inside lining in a contrasting color. At the top there is a flap made of a strong mesh with zipper. This allows easy access to toys. Very spacious. 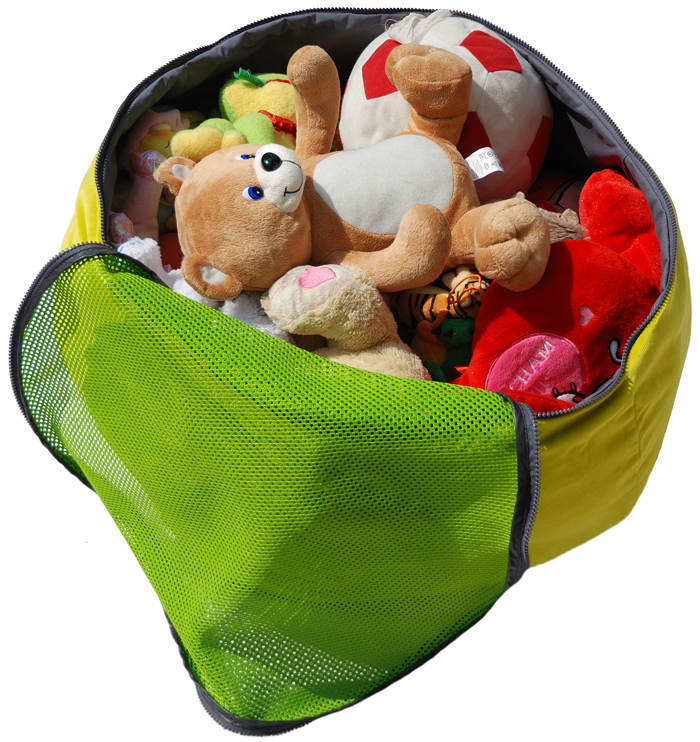 It is suitable for a lot of soft toys and dolls that belong to our children. 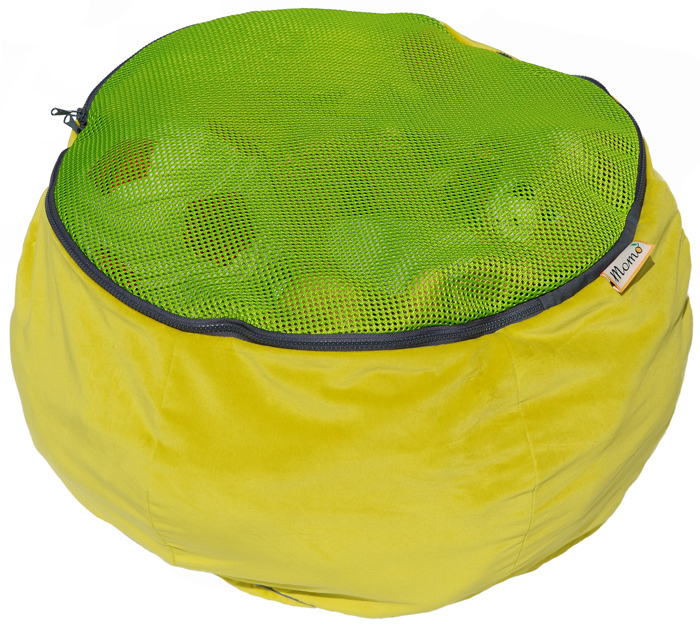 And stuffed bag is perfect for sitting and rolling! Dimensions: 60 x 60 x 30 cm. Machine washable at 40.